Aside from offering a quiet environment to study in, your school, college, or local library also offers a wealth of resources which can substantially enrich your homework experience. If you have not yet enrolled at your library, it is time to do so. Obtaining a library card is free but you will need to fill in some of your personal details on a form. A school or college library might need to see proof that you are a student at that institution and a local library might require up to two items which prove your address. Make sure that you take all the relevant paperwork with you to avoid disappointment. The number of books that you can borrow at any one time varies from library to library. Some will give you a smaller loan limit initially and increase this once you have returned your first lot of books. The classification systems used within libraries can appear baffling at first. Whilst fiction titles are generally arranged using an alphabetical system, non-fiction research texts will not be organised in this way. Instead, books and other materials are grouped according to their subject matter, with a special number allocated to each subject area. Different libraries make use of different classification systems. Don’t be afraid to approach a librarian to ask for their assistance. 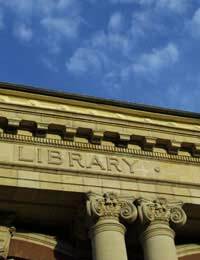 Many libraries offer introductory leaflets or even brief training sessions on finding the materials you require. Often, there are computer work stations within the library that allow you to search for books, giving you details of their class number and which shelf to find them on. Whilst it takes a little while to get used to a different classification system, it will certainly save you time in the long run. That said, once in a while you might like to simply take a stroll around the different shelves. This way, you might stumble across a book that is not directly relevant to your homework task but that you might like to loan for personal interest and enjoyment. As well as having access to thousands of volumes within the library itself, many library members will also be given access to online research resources. These include journals, encyclopaedias and study or revision packages. Ask your librarian what is on offer. If the book you are looking for isn’t on the shelf, it should be possible to request it, allowing you to borrow it once it has been returned. If it isn’t part of the library’s stock at all, you still have a number of options. You could request that the library orders it in from another nearby library. You will have to wait a little while and there may be a small charge. If this is not possible, it is always worth asking if the library is able to purchase a copy of the book you are seeking. Whilst the library is free to join, returning your books late can result in surprisingly high fines. When borrowing a book, make sure that you are clear when it is due back. Some books can only be loaned for a number of hours, some for just one day, others for a week and others for a number of weeks. If you are not able to return a book by the due date or still require it for research, you should be able to renew it if it has not been requested by another library member. Many libraries now offer online facilities which allow you to renew your books from home. Make sure that you note down the telephone number of the library so that you can to call to renew books too. It might sound obvious, but it is important to respect library books. Whilst very few library members would be tempted to graffiti texts, when revising or carrying out research it is all too tempting to make notes in the margins. This ruins books for other library members and might result in you being banned or asked to replace the research book, many of which are very expensive. Instead, use a pad of sticky notes on which to jot down your ideas and fix them to the relevant pages. You will then be able to use these to work on more detailed notes. Such a method is also useful for ‘reference only’ books which cannot be borrowed from the library. Whether it’s carrying out that extra bit of research, or making use of their online facilities, completing your homework in the library will help you to go that extra mile with your assignments. What’s more, you’ll be building on vital study and research skills at the same time.